When handling sharp objects and heavy metals, it is important that hands are protected from harm while also remaining comfortable enough to work. The Ansell NitraSafe 28-360 Porous Kevlar Work Gloves combine flexibility with cut and abrasion resistance for optimal comfort and protection. They are also available in a choice of sizes to provide the most comfortable fit. The product code for the pair of gloves is: 28-360. With very good resistance against cuts and abrasions, the 28-360 gloves offer enhanced protection when handling sharp and rough objects. 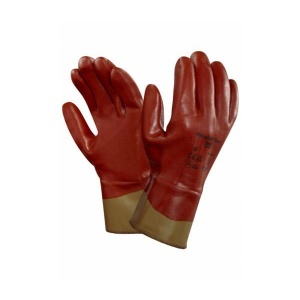 This will help to keep hands safer in a wide range of tasks, and the full foam nitrile coating improves gripping when handling oily parts to further reduce the risk of hands coming to harm. While some gloves may provide suitable protection while handling sharp objects, the NitraSafe 28-360 Cut-Resistant Work Gloves have been designed to offer excellent levels of protection while allowing hands to also remain comfortable. They feature a cotton jersey and Kevlar-reinforced lining for flexibility and a comfortable fit, ensuring hands can perform their best without compromise to safety. The table below showcases the test results of the Ansell NitraSafe 28-360 gloves according to EN 388 Mechanical Risk specifications. The Ansell NitraSafe 28-360 Gloves are available in a choice of sizes, making them suitable for most users. Please consult the table below for details, then select the required size from the drop-down menu at the top of the page. 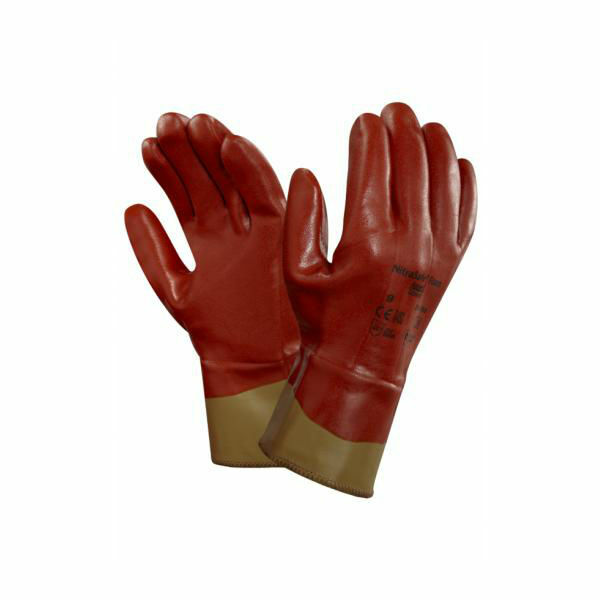 The glove length will range from 255mm to 280mm.